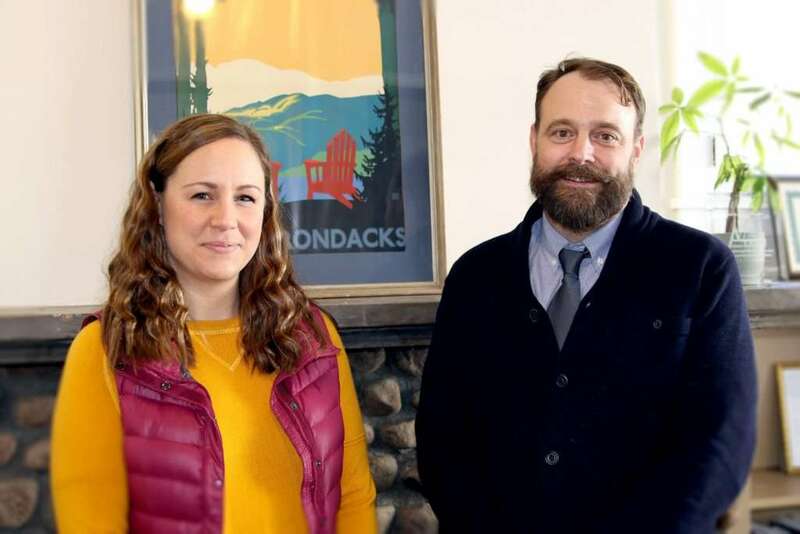 SARANAC LAKE — The North Country Healthy Heart Network has announced the hiring of two new staff members to meet the needs of increased programming. Danyelle Jones and Randall Ellis joined the Heart Network team in January. Jones will serve as project coordinator for the Health Systems for a Tobacco Free NY program; Ellis will be program manager for the new North Country Chronic Disease Prevention Coalition. As project coordinator, Jones will work with medical and behavioral health care providers in Clinton, Essex, Franklin and Hamilton counties to support efforts to provide evidence-based tobacco treatment in their settings. Jones joins the Heart Network having recently returned to Saranac Lake. Originally from Long Lake, she has a bachelor’s degree in psychology and previously worked in child welfare, sexual assault services, community advocacy and substance abuse counseling. Jones is also an active member of the NYS Army National Guard, and recently completed training to be an Army-certified combat medic. Ellis will serve as program manager for the new Chronic Disease Prevention Coalition, which was formed by the Heart Network with funding from the NYS Rural Health Network Development program. The coalition will focus on increasing identification and treatment of prediabetes in Clinton, Essex and Franklin counties. Randall grew up in upstate New York but spent nearly 25 years in Texas, where he worked for nonprofits and local government. His focus has been on public policy and advocacy, dealing with a broad range of issues including civil rights, HIV/AIDS, Medicaid, drug addiction and treatment and mental health. He has a bachelor’s degree in economics and romance languages, as well as a master’s in public health.